Live photo reveals Galaxy S10 in Pearl White, shows triple real camera! A live picture of the Pearl White Galaxy S10 has been leaked online, giving us our closest look yet at Samsung’s upcoming flagship. The picture shows the back of the phone, with the triple-camera setup and a part of the Samsung logo visible. Of course, the most interesting part here is that white paint job. It’s got a bit of a shine and seems to have some greenish hues, matching what we saw in leaked official renders of all three Galaxy S10 models recently. 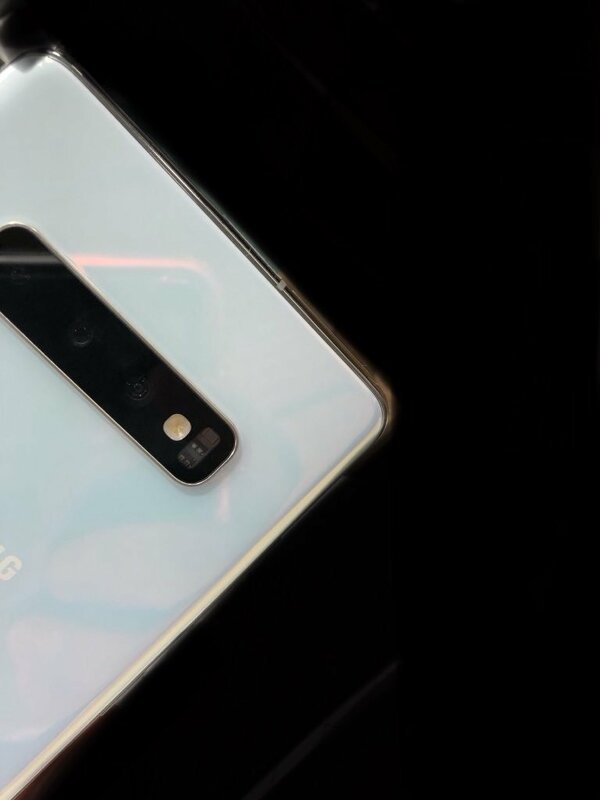 Of course, a rear-mounted fingerprint sensor is conspicuous by its absence, offering more confirmation that the S10 will have the fingerprint sensor under the display for those who still aren’t convinced. That’s pretty much it for what we can glean from this picture, although we can expect to see more such leaks in the coming days. After all, the most damaging leaks often come out just a few days before a Galaxy flagship is set to go official, and we should expect it to be no different this time around. What are your thoughts based on the leaked image? Would you like to pick up the Galaxy S10 in white going by what you’re seeing here, or do you think Samsung should just have gone with the traditional white we have seen on its previous flagships? Remove Michael Davis from writers. He’s posting only advertised news and offers. This is bad. And he can’t accept criticism so he disabled comments in his article. Finally. A white colour. It looks a lot more classy than the other colours if seen so far. White phones are the best, just hope Samsung won’t limit colors to some countries like they do every year. Not a fan of white phones tbh. But do these backs even matter anymore? The vast majority will throw a case on it and never see it again. Specially when the phones are as overpriced as flagships these days. Forget cases, the all black bezels also make the colors pretty much useless as even without a case you won’t always see the back.